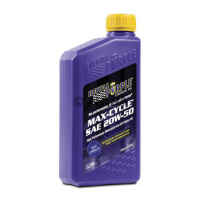 Max-Cycle synthetic engine oil is available in 10W-40, and 20W-50, and is specifically formulated to exceed the demands of highly stressed motorcycle engines and transmissions. 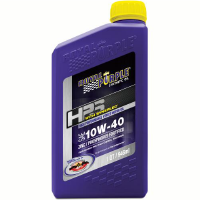 It is recommended for use in both air-cooled and liquid-cooled 4-cycle engines and is compatible with wet-clutch transmissions. 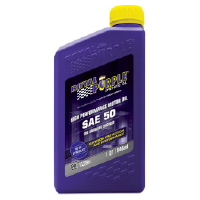 Formulated with select synthetic base oils and Royal Purple’s proprietary Synerlec®additive technology, Max-Cycle provides improved film strength when compared to the leading synthetic and mineral oils. 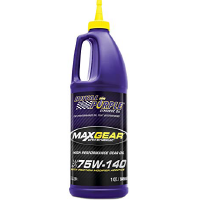 Max-Cycle’s shear stability and oxidation resistance keep engines operating at a lower temperature, freeing up horsepower.